One swallow may not make a summer, but how about twelve? 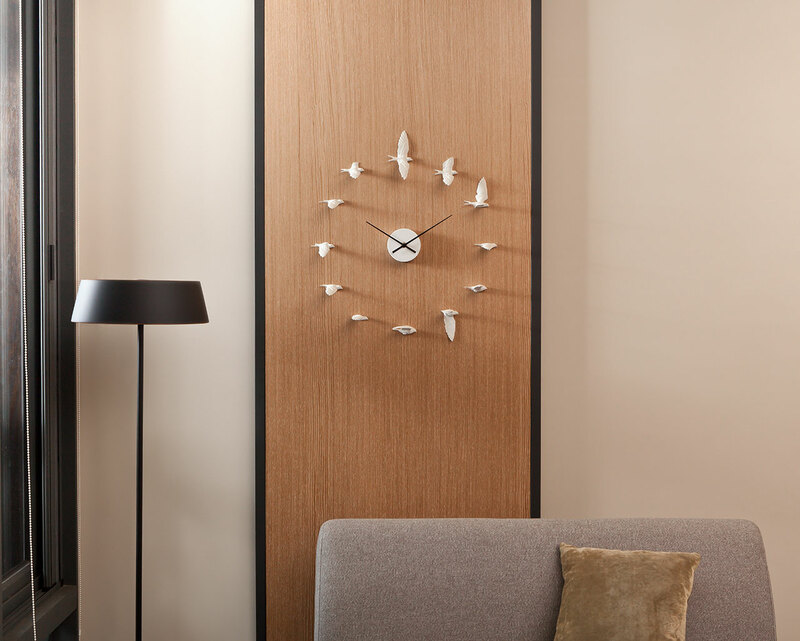 After their stunning Merry-go-round Clock that we featured back in 2010, Haoshi Design Studio’s latest creation The Swallow Clock takes decorative timepieces to new flying heights. 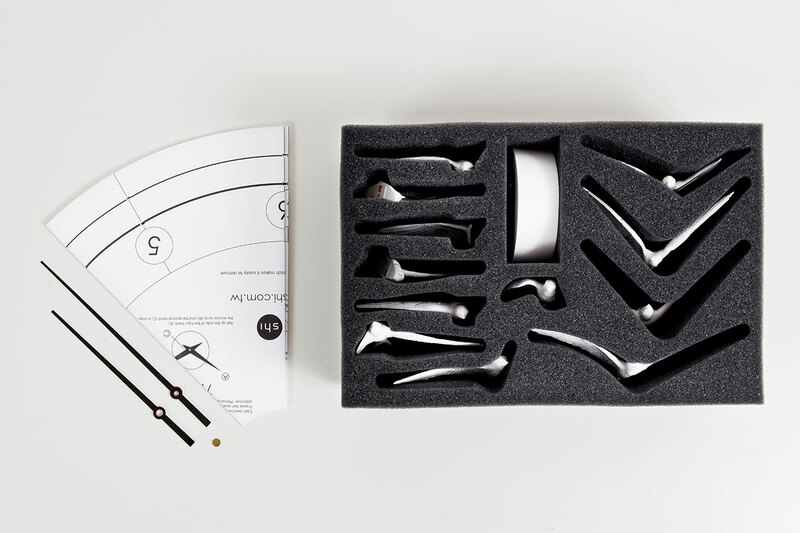 Haoshi Design Studio was established in 2009 by two Taiwan-based designers who fervently believe that life is full of joyful and interesting things. Their intention was to spread their optimistic attitude towards life (in fact, their name actually means ''Good things'' in Chinese) and express it through their design concepts by adding a dash of purity and peace in their creations, and by extension, into our lives. In building on this premise, the idea for The Swallow Clock was born. 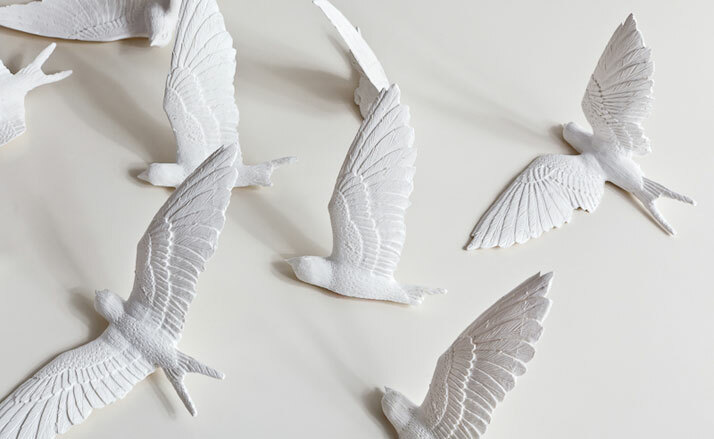 The clock itself is a sculptural piece where a flock of twelve delicate flying swallows which are handmade out of resin, replace numbers in a Taiwanese movement clock measuring 600mm X 120mm X 600mm. Mounted on the wall, the swallows appear to fly independently at various heights around the clock nest, as if following the course of time. In our fast-paced daily life, time waits for no one, it literally flies past us at the same speed of a swallow’s flight, making it easy for us to neglect or oversee some of the ''good things'' that exist around us that can bring us joy and satisfaction. Unlike us, the swallow, however, will still stop to enjoy the moment, capturing every valuable second and seizing the day before flying away towards a better tomorrow. 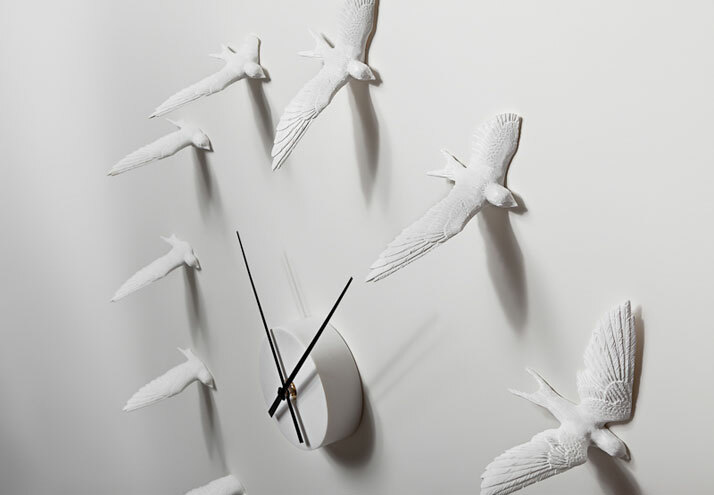 Through a paradoxical combination of movement and stasis set against the course of time, the designers hope that The Swallow Clock will stimulate positive thinking and make life fly by beautifully, as these swallows do towards a better tomorrow. Symbolizing luck and hope, may the swallows of the clock give you the wings of good fortune and the ability to fly up, high in life!